7am - First off, I am not turning my RVing Adventure Blog into some kind of political thing. But, every once in awhile, I would like to present things here that may prompt Readers to comment on things political. I know that for myself, sometimes I get a little lazy about my responsibility as a citizen of our Republic. And, sometimes I get to thinking, "What's the use? Silence over Middle Eastern "Ban on Jews"
Several Muslim-majority countries in the Middle East, including the seven expressing outrage at a U.S.-entry ban for their nationals, have had a ban on Israeli nationals for over five decades. These include Algeria, Iran, Iraq, Kuwait, Lebanon, Libya, Oman, Saudi Arabia, Sudan, Syria, UAE and Yemen. Bangladesh, Brunei, Malaysia and Pakistan also have similar bans on Israeli passport holders. Is this not a de facto ban on people from another faith? Iran, Kuwait, Lebanon, Libya, Saudi Arabia, Sudan, Syria and Yemen do not even allow entry to people of any nationality with evidence of travel to Israel. This means that business travelers such as myself needed a second passport to travel within the Middle East if the first passport happened to have an Israeli stamp. But European governments didn't protest about the stance of Middle Eastern governments, and willingly issued second passports to their nationals requiring frequent travel to Israel and its Arab neighbors. Yesterday afternoon, The Scampy RV Team headed out of Depoe Bay because the weather there was windy and cold. Here in Lincoln City this morning, the far sky looking west contains the heavy cloud cover that is common this time of year. This afternoon is promising to be sunny and around 60℉. The Scampy Team is seriously considering remaining here. J's Fish & Chips is here in Lincoln City! Around 2014, we bought our first iPhone, the 5s. Over time, our iPhone 5s became dated. It did not have enough capacity. And did not perform up to current times! So, we now have iPhone 7. And it is great! 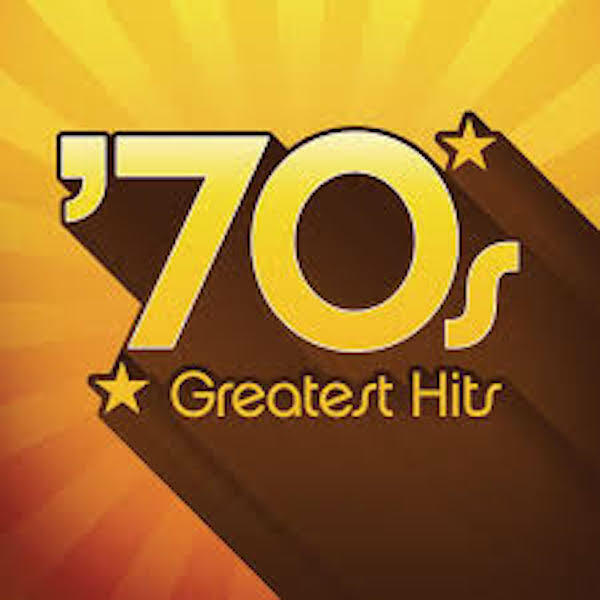 One of the first things that we did afterwards, was to go to iTunes and buy '70s Greatest Hits. [Link]. Since we got it, '70s Greatest Hits has become our favorite music! After mulling over installing the isolator myself, I decided to get some feedback from a shop here in Lincoln City. The shop's name is: Car Care Specialists and gets very high marks in reviews. "Looks like overkill to me!" We have an appointment for 11am tomorrow. 3pm - Solar Panel Accident! This morning a 15-foot long length of 2-wire 10 gauge cable was purchased for our Renogy solar panel. We need this cable in order to be able to place the Renogy where the Sun is shining. The cable is 10 gauge in order to minimize voltage drop. The Renogy was on the sidewalk next to Scampy. I was testing this heavy cable, when a young man on a bicycle came zooming down the sidewalk. The guy on the bicycle was carrying three grocery bags. Maybe balancing those three bags while driving lickety-split down the sidewalk diverted his attention? Anyway, he and his bicycle crashed into me knocking me down on to the Renogy! It was a whole lot easier to do than I figured it to be. Some of the broken parts actually could be adapted to be usable. While I was fixing Renogy, my mind drifted to how fantastic life-on-the-road is for me. And easy too! For Israel, travel bans, the religious nuts killing people.....all of it is a bit whacko in my opinion. That is because I am agnostic in my faith. That makes me about 18% of the US population. To me, all spirits, after-life, gods, and miracles are all imaginary things with no evidence. I respect that most have the gift of faith, and have political/religious reasons to be concerned with the topics of the day.....but I see it as creating more harm than good. "In God We Trust" is now a terrorist statement. I will have nothing to do with it.. AND imagine an agnostic running for president? HE/SHE would NEVER be able to become "recruited" by ISIS. Impossible. That would be a safe bet for a president in my opinion. OK, let the pot stirring begin! hahahahaha..
"Better to have faith and believe in God and be wrong, than believe in nothing and be right!" All by yourself you have taken comments off on a tangent. I was intending this Blog post to be a discussion. Not a soliloquy. I am Native American and as such our so called religion is closed to anyone but Navajos. No one other than Navajos are allowed to religious ceremonies. But now I see other people starting to practice Navajo style religious rituals I.e. the sweat lodge. Some people tried that in Sedona and killed themselves by using the wrong set up/materials. I agree with Point to Zero, religion is no longer faith based...it has gone beyond that to be used as a weapon to kill and to discriminate. It is doing more harm than good now...creating hate and no longer faith based such as faith that you'll have good crops, rain, health...faith that everything will be okay. Now it's if you're not of my religion and do not do as I do, I will shun you, kill you, isolate you and hate you for your religion. Religion is no longer doing what, I believe, it was intended to do...to give faith for good things to happen when oppressed. As a Navajo, I tend to believe in the universe, the science of it, the mystery, the balance of everything i.e. good/bad, cold/hot, etc. It is beyond our control. Are you referring to all religions? If not, which religions? if you're a true Navajo you can't believe in one God? It's technically not part of your culture. If you were raised to believe in one God then you give it up your Navajo culture and religion and became a Christian. If you cut and paste here is why I say that. What better way than starting your day, is having a chat for the sunrise. for the butterfly. for the clouds in the sky. or the rain. and for the antelope.or the sunset. Or the moon. or the shooting star. If you truly want to practice native American religion and beliefs make mother nature your God. and she's everywhere and called many names . Even George would tell you the Holocaust was a minor bump in the road compared to promoting The slaughter and the genocide for Christianity through its history Dating back 20 17 years? If you really want to understand the Muslim culture and religion. ask anybody that has ever lived an studied in Israel. They'll tell you one thing, you need to understand the culture? before you understand the religion. Sorry mr. George,, getting ahead of myself. The article you posted is mostly accurate but omits the protstations by Obama administration. Nonetheless they are not the models we have normally followed. We have not practicesd two wrongs make a right. There are many wrongs in our world and under Trump we are adding to the list. I hope we can be better. You wrote "protestations by Obama?" The Obama admin consistently spokeout on all forms of discrimination. Thanks for correcting the typo. I believe Obama deeply understood the need for Israel and need to preserve it in both real and deeper meaning it displays to the world. "NEVER AGAIN". For Trump it appears to be one dimensional just words to get support. Not an expert but in Israel they now use a "blue card" which you can carry for ninety days of travel within the country thus voiding the stamping of a passport. As for religion, 75.4% Jewish, 16.9% Muslim, 2.1% Christian, and 1.7% Druze, with the remaining 4.0% belonging to minor faiths such as Samaritanism, Baha'iism or no religion. So I am not sure it is a travel ban based on religion. Do You Need a Visa For Israel? U.S. citizens traveling to Israel for stays of up to three months from their date of arrival do not need a visa, but like all visitors must hold a passport that is valid for at least six months from the date they are departing the country. If you plan to visit Arab countries after visiting Israel, ask the customs official at the passport control window at the airport to not stamp your passport, as this could complicate your entry to those countries. You must request this before your passport is stamped. If, however, the countries you are planning to visit after Israel are Egypt or Jordan, you need not make a special request. So what happened to the panel George!! I took the broken panel to Ace Hardware and bought stuff to put it back into operation. I am not an expert in history or religion. I form an opinion based on what I see, hear, and what I was taught. Lately news tells me the Jewish cemeteries were vandalized, people being killed execution style in the name of Allah, Christian xenophobia in our country harassing others on college campuses, workplace, and communities. these types of activities make me believe religion is no longer faith based...killing, vandalism, travel bans are in place not entirely because of religion but maybe one of the reasons. The present wave of Jew hatred is due mostly to the pressure, lies, intimidation, etc., of the Palestinian/Arabs and countries that surround in the Middle East. In the 1948 war that followed the creation of the State of Israel by the United Nations, nearly every country in the Middle East attacked or participated in armed hostilities against Israel. And in the end, Israel won over them all! This defeat is called Al-Nakba: The Palestinian Catastrophe by the Palestinians themselves. (drama) The act of a character speaking to themselves so as to reveal their thoughts to the audience. At the end of the second act the main villain gave a soliloquy detailing his plans to attack the protagonist. Between myself and Mr. Ed, this place is getting INTERESTING. hahahaha. Bypassing the discussion of religion, I can't get past George boogieing down to Play the Funky Music. What Funky Music? You mean the groovy stuff of the 70s? of Mr. G, doing the electric slide??? George, Lincoln City is my all time favorite place in Oregon. The best smoked salmon and tuna is down on the south end, on the east side. They make it right there... THE BEST! Then, the casino has some really good fry bread... but upstairs in the Restaurant over looking the ocean... they have the best bread, and a lobster pasta dish to die for.... so very good. Then if you want or need a really clean, and nice RV park for a night or two, the Devils Lake RV park is wonderful. Be sure to shop at the Safeway or Fry's using a card savings because you get gas points!!! Now - my two cents on the Ban. I really think if the so called politicians practiced basic speech there would be LESS problems. There is no reason to ban any one religion, because if America is going to ban one, it should ban ALL then there is NO hard feelings. Each person should be properly vetted, and each should follow the law of America. The real problems are because so many people from all different walks of life, just simply feel they are above the law and do not want to follow, or obey the laws of America. It's really sad because if they did in their own Country what they do in America, they would be in serious trouble with their own country. I do not understand why they think they can come to America and do as they please! People are people, each one has the same insides, only the outside of a person is different. The world, could be a great place for all people if only many could imagine PEACE. As for those politicians, perhaps if we weeded the garden and pull the nasty ones out, planted more kinder ones, we'd have a lovely garden of politicians who would work together. Imagine... just imagine .... PEACE. We're happy for you, George. I really think if the so called politicians practiced basic speech there would be LESS problems. 1# What is basic speech? There is no reason to ban any one religion, because if America is going to ban one, it should ban ALL then there is NO hard feelings. and each should follow the law of America. The real problems are because so many people from all different walks of life, just simply feel they are above the law and do not want to follow, or obey the laws of America. It's really sad because if they did in their own Country what they do in America, they would be in serious trouble with their own country. 4# as a civilized society we would like to think so. but small Minority society you would be raised up to a higher status. I do not understand why they think they can come to America and do as they please! People are people, each one has the same insides, only the outside of a person is different. The world, could be a great place for all people if only many could imagine PEACE. As for those politicians, perhaps if we weeded the garden and pull the nasty ones out, planted more kinder ones, we'd have a lovely garden of politicians who would work together. Imagine... just imagine .... PEACE. 7# In the USA isn't that where you go to vote for the person of your choice?